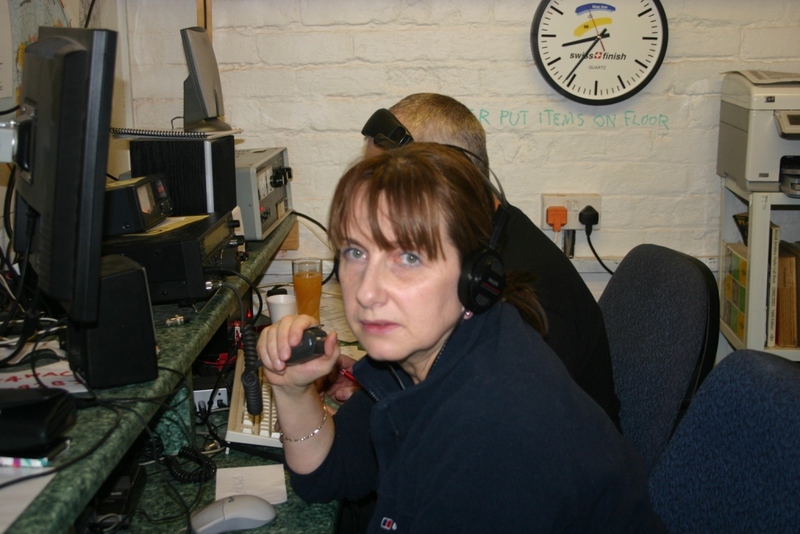 Wythall Radio Club is extremely sad to announce the untimely passing of one of our members. 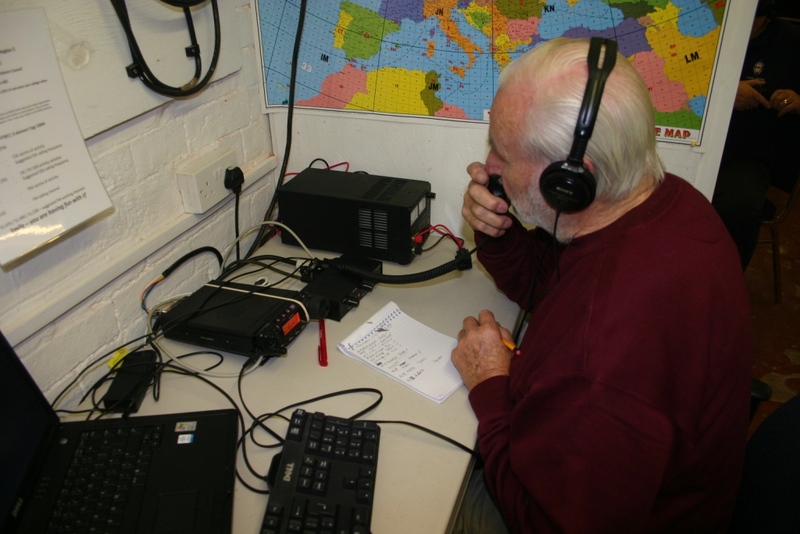 Colin Truran M0GJM died yesterday morning, it was announced today. 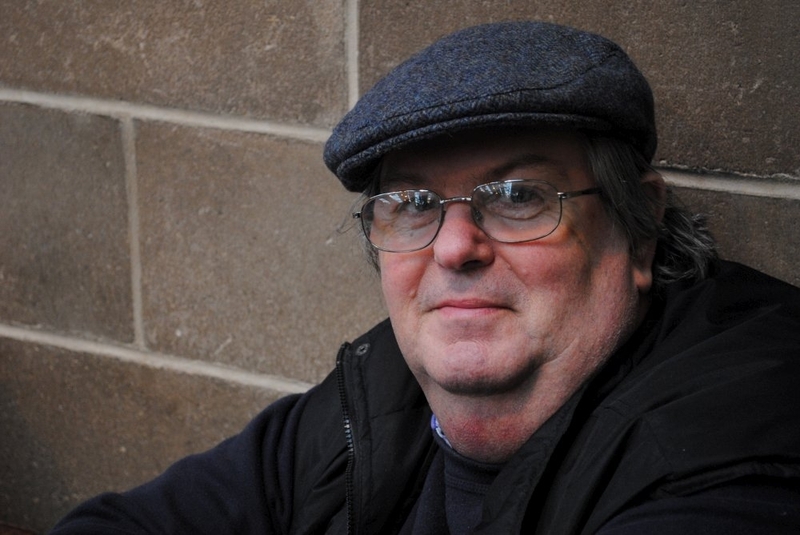 Colin was a man who was much loved by all in the club, starting out as a Foundation License holder, later rising to attain his Advanced license and eventually become Secretary of the Club. 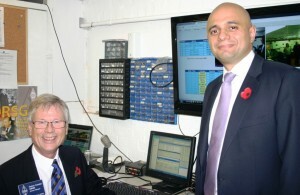 A former employee of Birmingham Airport, Colin loved his radio, especially the club fox hunts. He was just 64 years of age. 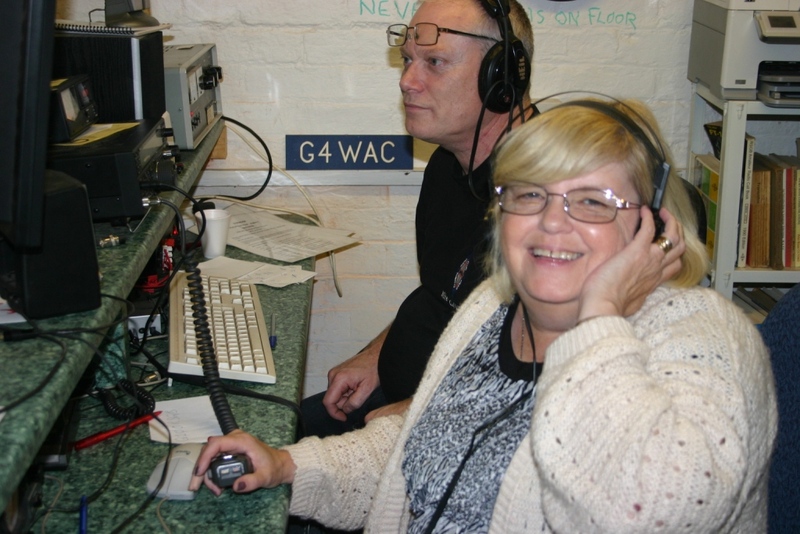 All the members of Wythall Radio Club send their condolences and best wishes to his widow Jill and his children. A fuller appreciation of Colin’s life and contribution to the club will appear on this website later. Bacon sandwiches and Pork rolls! You could be forgiven for thinking that certain members of Wythall Radio Club are only interested in food! 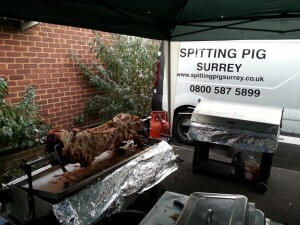 What with curry nights, party nights and barbecues, we certainly know how to enjoy ourselves! 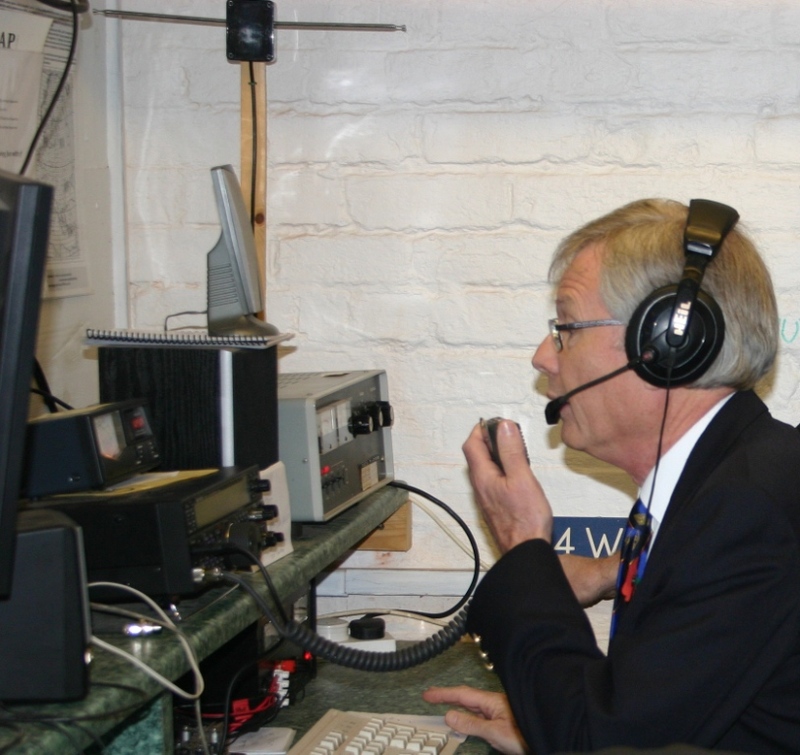 However, this Saturday 30th November, it is not our turn to host but to be the visitors – it is time for our annual trip to Chertsey to visit our friendly Ham Radio dealer Martin Lynch and his family and staff. This Saturday we will be winging our way down the M40 again and looking forward to seeing the folk we have got to know better over the year – and it is still a banker that several members will be returning with something heavy in the car boot! One of the slightly better things about the dark evenings here in the UK is that indoor activities take more of a centre stage. That is certainly the case this week at Wythall Radio Club, as our meeting on Tuesday sees us re-living some of the lighter nights and warmer days by taking a look back at our Field activities this year. 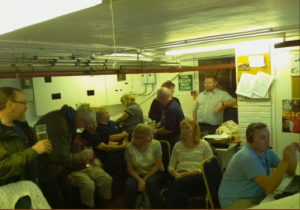 Paul 2E0ULC has been putting together some videos from his camcorder, which was running most of the time during VHF and HF SSB Field Days and this is the week that Wythall Radio Club Members will gather to watch the fruit of his labour! 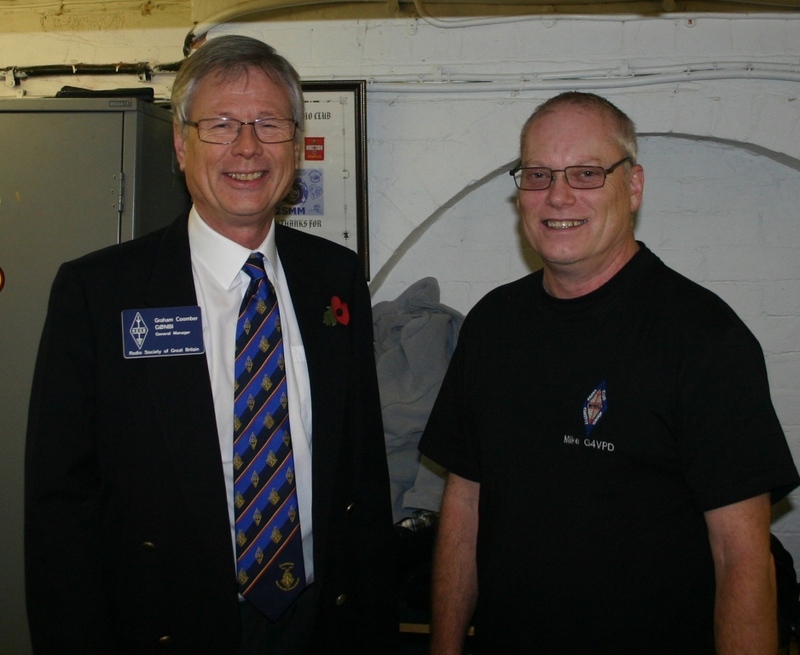 Visitors are of course very welcome – the meeting starts at 2030 in the Club shack at Wythall House, Silver Street, Wythall B47 6LZ. 472 kHz – the “New” Amateur Band! 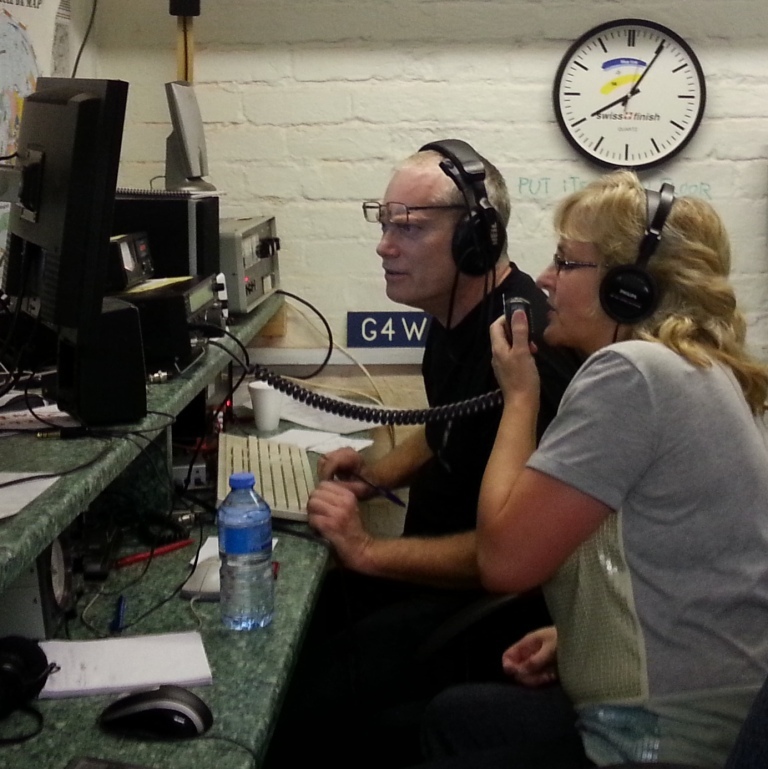 It may even have escaped the more eagle-eyed members of Wythall Radio Club that this year has seen the release of a new Amateur Radio Band here in the UK. 472 kHz has been granted to us after quite a few years of experimentation under a Notice of Variation to the licence on 501 kHz. 472 kHz is at the bottom end of the old Medium Wave band and probably constitutes new territory for many amateurs, not just “Wythallians”. 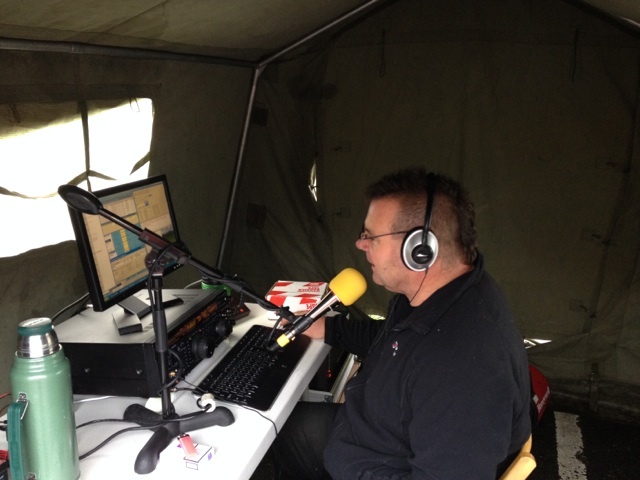 To help unravel the mystery of MF operation, RadCom columnist and low bands expert (and Wythall Radio Club member, we should add!) 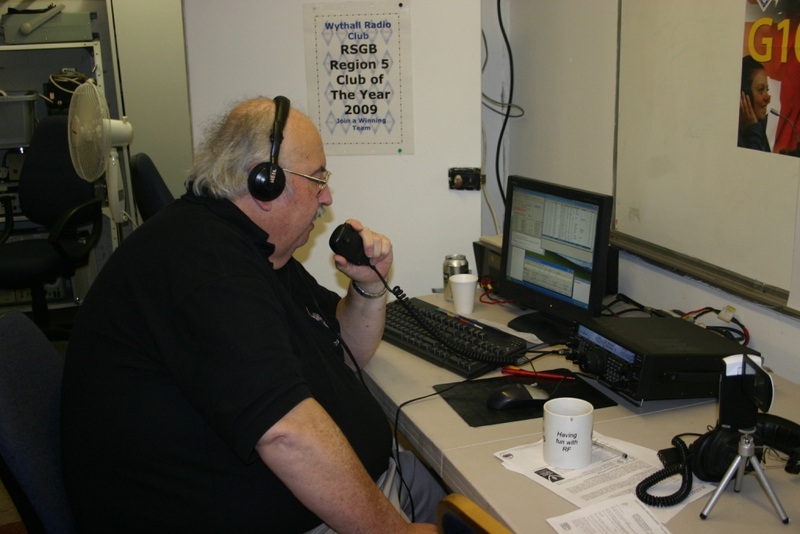 Dave G3YXM is giving a presentation this coming Tuesday at the Club. He will be opening up the mysteries of this band and explaining just how we can get active on it. Strangely this talk coincides with an article in the just-released December RadCom magazine where Mike G3XDV writes about the very same topic. They must have been watching our club calendar to time their articles to fit in with us! So why not pop along on Tuesday 19th November at 2030 to the Club Shack, Wythall House, Silver Street, Wythall. B47 6LZ? Visitors as always are very welcome. 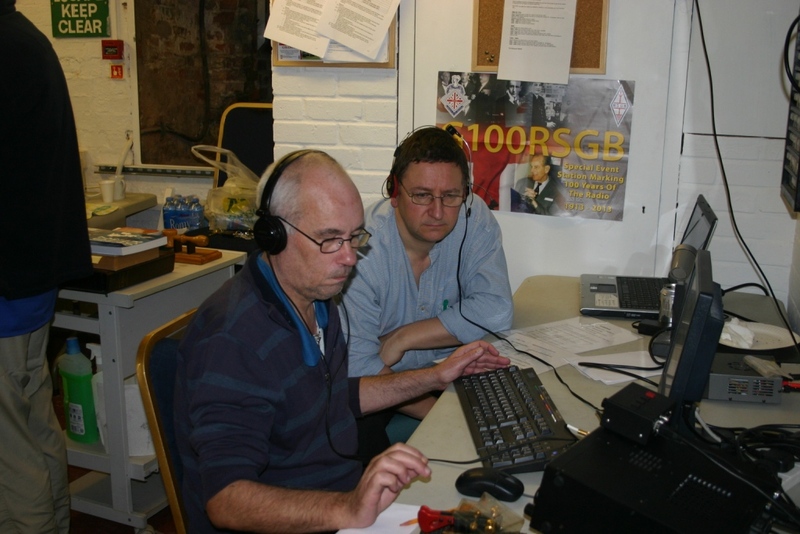 Now that Wythall Radio Club members are beginning to “wake up” again after the efforts of putting on G100RSGB(! ), here is a gallery of a few photos from our activation of the event. Feel free to browse and click for full size pictures – captions will give you a little more information about each one. 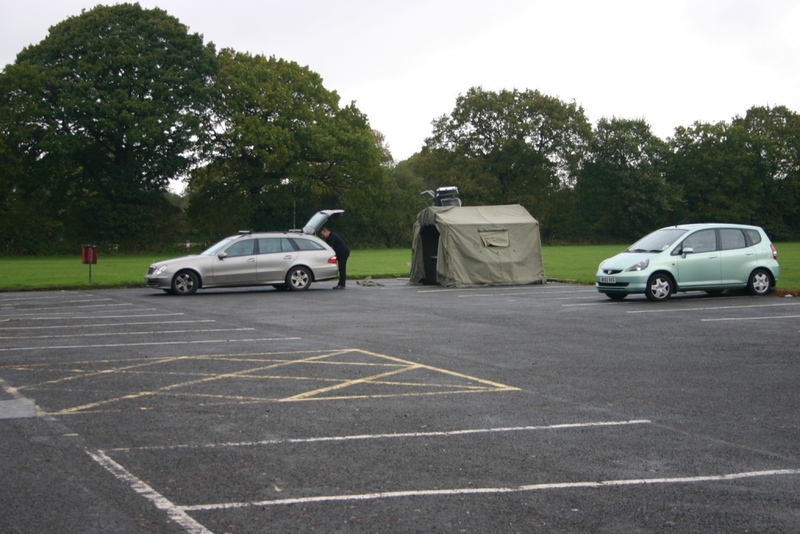 We are hoping to post a video of our two days of operation soon too, so keep checking this site for more information! Now our technical wizards have grabbed the webcam stills that were being taken every minute or so during our activation and you can re-live the 2 days of operation on YouTube! Just click on this link for Webcam 1 and this link for Webcam 2. 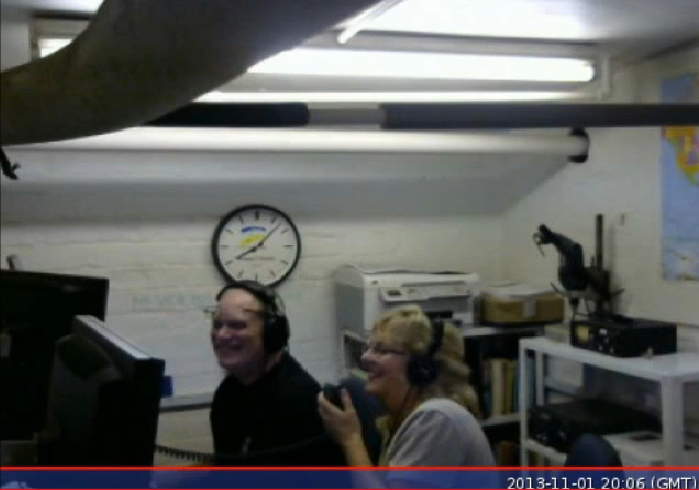 Webcam 1 had a great view of a radio controlled clock and you can literally see time going by! 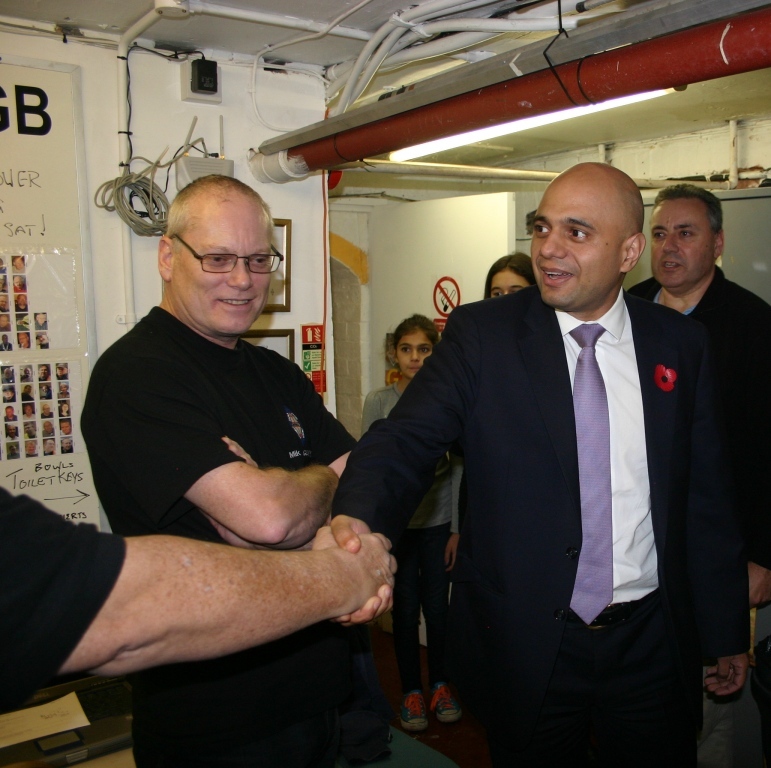 One of Wythall Radio Club’s VIP visitors to G100RSGB has been tweeting about his visit! Sajid Javid MP, the Financial Secretary to the Treasury, visited Wythall Radio Club last Friday and clearly enjoyed his stay with us, to the extent that it overran! Nice then to see that he has been tweeting via his official account about how much he enjoyed his time with us. You are welcome Mr. Javid and we look forward to seeing you again soon! Thanks also to the RSGB for retweeting. 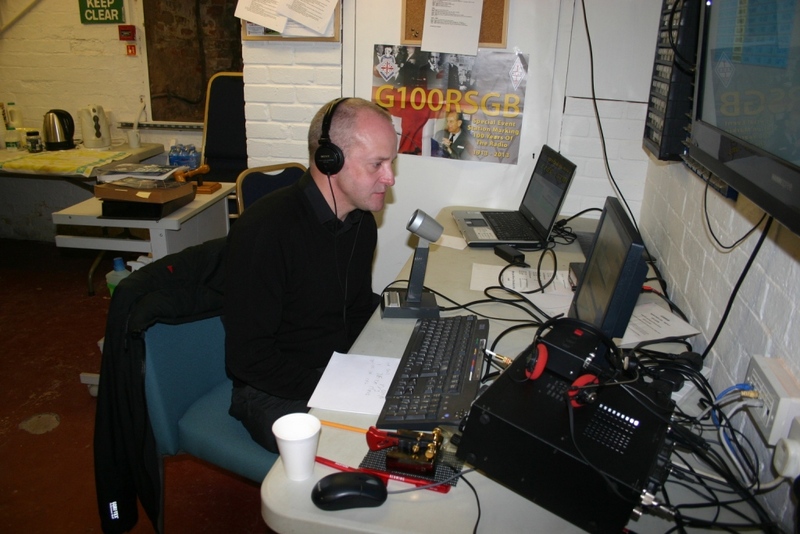 Wythall Radio Club’s two days with the G100RSGB call sign is now over and we thank all stations for their contacts with us and their kind words about our operation. 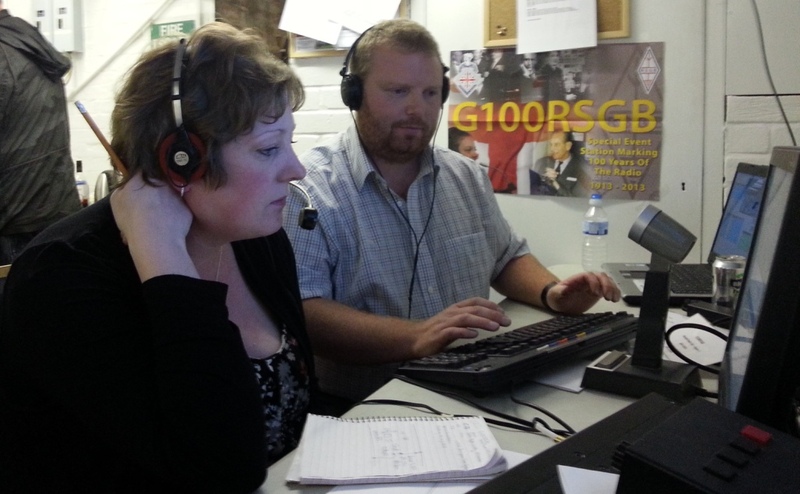 We made around 2250 contacts in our time with the call sign, beating our self-imposed target of 2000. Our logs are taking a little longer to collate as we are cross-checking and merging 6 separate stations worth of logs to make sure final totals are totally accurate (…and we have day jobs!) 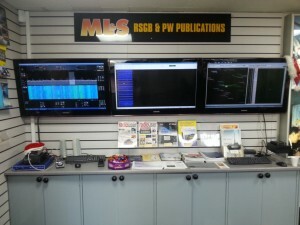 So please bear with us – logs will be made available to the RSGB asap! 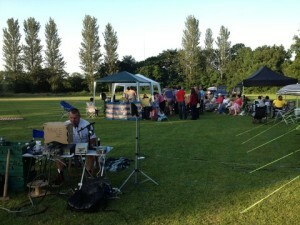 Thank you to all the amateurs who made our activation such a success! 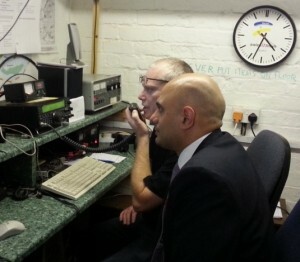 This afternoon, Wythall Radio Club was proud to welcome two distinguished visitors to their activation of G100RSGB. 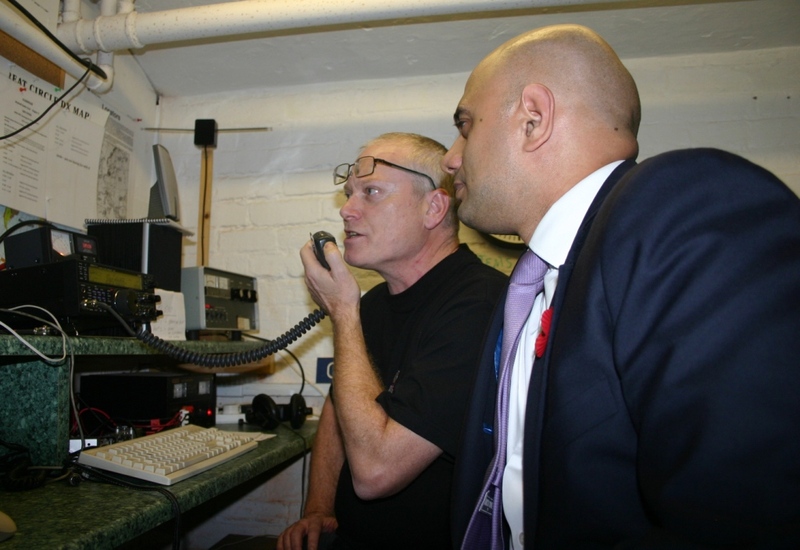 Financial Secretary to the Treasury, Sajid Javid MP and the General Manager of the RSGB, Graham Coomber G0NBI came to see for themselves how to have fun with RF! 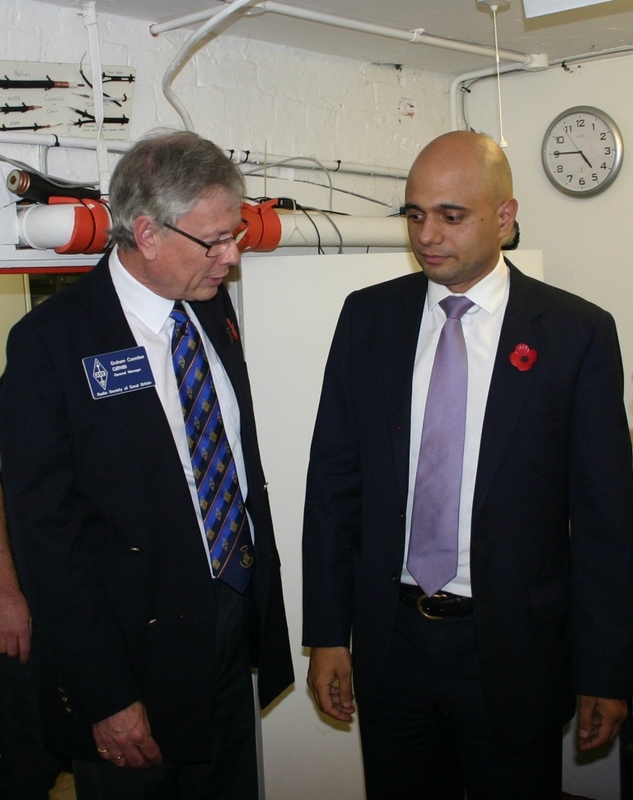 Mr Javid revealed his interest as a 12-year-old in CB radio and how he spent his youth building radio equipment bought from Tandy! He also expressed a wish to visit us again informally in the future. 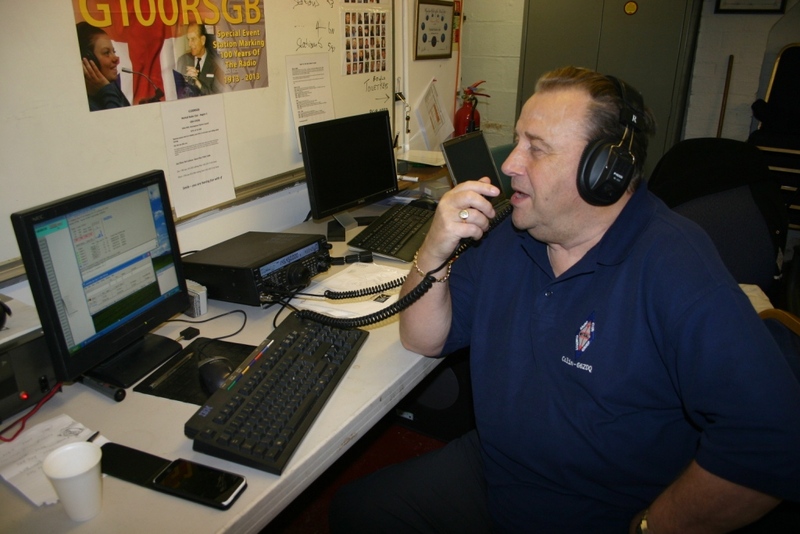 Graham Coomber meantime took to the microphone and worked the RSGB callsign as if it were his own – well, in a sense it is! 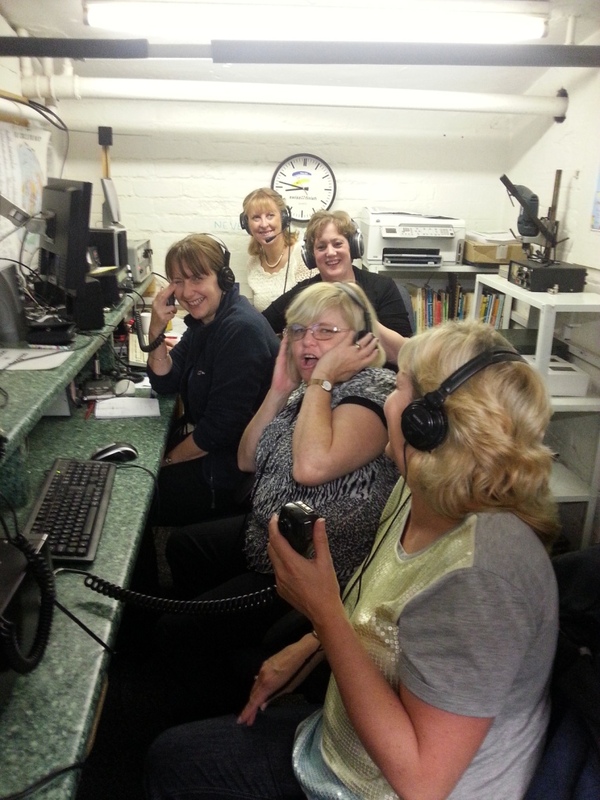 The members of Wythall Radio Club would like to thank our visitors for their time in coming to see us and we look forward to seeing them again in due course. Meantime, there are still stations to be worked, so keep an eye on our live board here to see how we are getting on and if you are in our recent logs. We are trying hard to activate as many bands as we have antennas for and reach our target of 2000 contacts in 2 days!